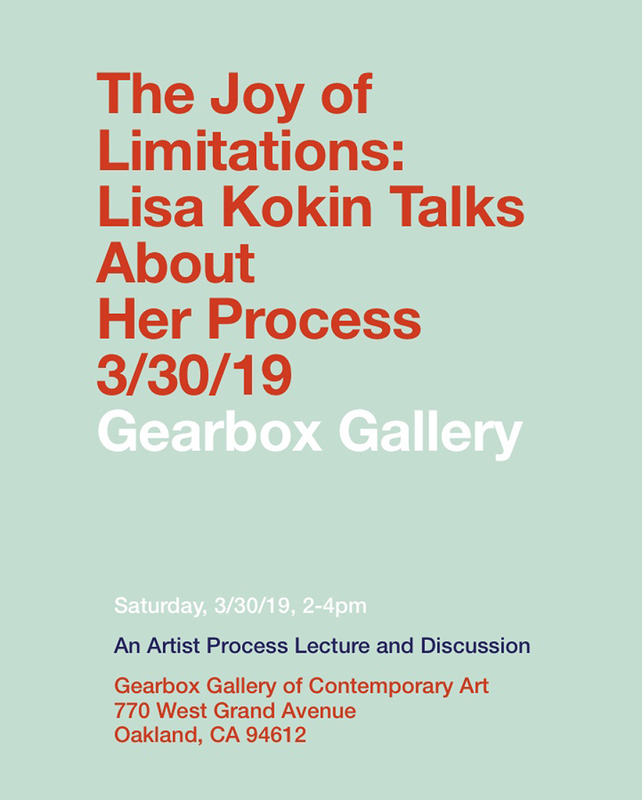 Lisa Kokin is a mixed media artist whose work has a fiber sensibility, a conceptual orientation and content that is often a critique of the status quo. Kokin has been the recipient of multiple awards and commissions, including a Eureka Fellowship, a WESTAF/NEA Regional Fellowship, the Dorothy Saxe Invitational Award for Creativity in Contemporary Arts, and the Alameda County Arts Commission. Her work is in numerous public and private collections, including the Boise Art Museum, the Buchenwald Memorial, the di Rosa Preserve, Mills College, Kaiser Permanente San Francisco, and the Yale University Art Museum. Kokin’s work is represented by Seager Gray Gallery in Mill Valley, CA, Gail Severn Gallery in Ketchum, ID, Tayloe Piggott Gallery in Jackson, WY, The Arts Company in Nashville, TN, and Mobilia Gallery in Cambridge, MA.